2.5 x 3.5mm Pewter Corrugated Spacer - 20 qty. 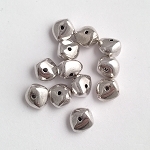 6 x 9mm Pewter Drop Bead - 12 qty. 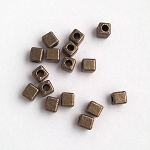 3mm Antique Brass Cubes - 16 qty. 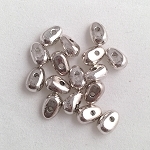 5 x 8mm Pewter Nugget - 12 qty. 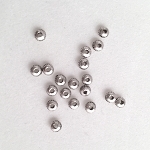 4mm Pewter Thai Spacer - 20 qty. 6mm Large Hole Round Pewter - Antique Brass - 25 qty. 10mm Pewter Baseball – Antique Silver – 2 qty. 12mm Large-hole Brass Cat – 2 qty. 12 x 13mm Large-hole Pewter Fish – Antique Silver – 2 qty. 10mm Large-hole Yin-Yang – Antique Copper – 2 qty.